When you stand back and look at someone, really, really carefully, you’ll notice that her (or his) face tells a story. It’s the story of a life — well-lived or not, beset with tragedies or joys. A roller-coaster of experiences that can be discerned in every laugh wrinkle, frown line, deeply-etched pain crease and sometimes, like a surprise rainbow, a dimpled cheek followed by lots of )))). Every line across your face tells a story. Mine certainly does. If you look very carefully. And, like every good story, you need to share it with someone. Someone who understands, who sees you, hears you, who’s been there with you — during the best of times and the worst of times. Someone who shares a history with you. Never underestimate the power of many decades of shared history. It’s one of the secret ingredients to a relationship’s longevity and solidarity. As we face life’s challenges, it’s important to have at least one such person stand beside you. I am deeply grateful that I have one. He happens to be the person I most respect on this planet. Before you hit the “Play” button on Brandi Carlile’s beautiful rock ballad (“The Story”), I want to say — once again — that the lines across your face tell a story. Don’t erase those lines. Despite the latest beauty fads or what the trendy plastic gurus babble on about, your lines are beautiful. After all, they’re who you are. Και η ιστορία συνεχίζεται, αγάπη μου. Αυτό το τραγούδι είναι για σας. 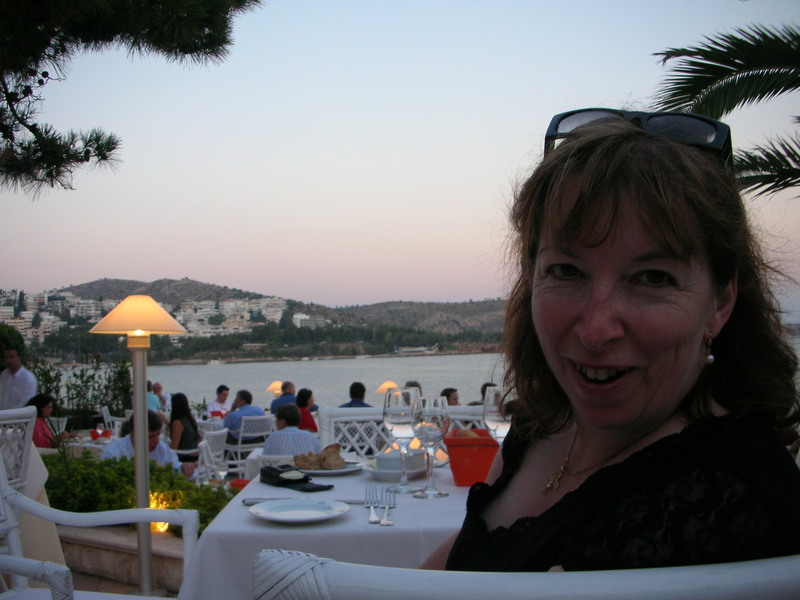 Photo (top) of me at a seaside restaurant in Vouliagmeni (Athens, Greece, July 2007). This entry was posted in inspiration, other musings and tagged Brandi Carlile, Heather Marinos, heatherfromthegrove, shared life history, The Story, Through best of times and worst of times, your face tells a story. Bookmark the permalink. yes and a few lines are good.! !